Mosquito Lake State Park may not be the most encouraging of names for campers and hikers, but it’s one of the most attractive wilderness regions in the American state of Ohio. 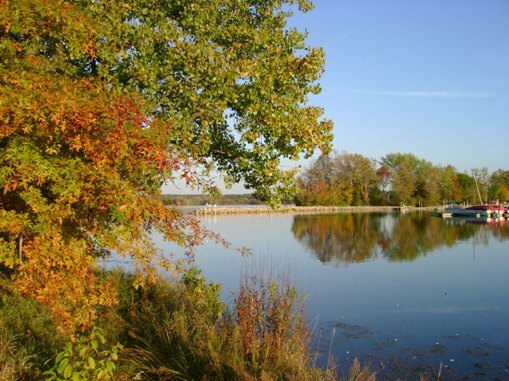 The park is located in the center of Trumbull County and is close to 2,500 acres in size with Mosquito Lake being one of the largest bodies of water in the state. The park is ideal for camping, hiking, picnicking, fishing, and water sports. The area consists of vast marshes and mature woodlands that are home to a wide assortment of wildlife. There are 16 non-electric and 218 electric camping sites available. Most of these are located in the forest and on the lakeshore. There are hot showers, toilets, volleyball and basketball courts and horseshoe pits for those who like to stay active while camping. There’s also a playground for children and free WiFi access. The 7,850 acre lake is great for boating. There are five launch ramps and a marina for supplies and fuel. You can also rent watercraft there and free concerts are held at the marina in the summer. The lake is filled with bass, walleye, crappie, and northern pike, making it a hit with fishermen. Swimmers and sunbathers will find a sandy, 600-foot long beach for their enjoyment. There are several hiking trails that allow you to explore the scenic shoreline and woodlands by foot. Mountain biking and horseback riding are also popular. You’ll find four picnic areas with tables for those who love to eat with an excellent view. Hunting is allowed in designated park areas as well as at the Grand River Wildlife Area which is close by. Mosquito Lake State Park is just as popular when the snow falls as you’ll find many activities to enjoy, such as ice skating, boating, and fishing, cross-country skiing and snowmobiling.